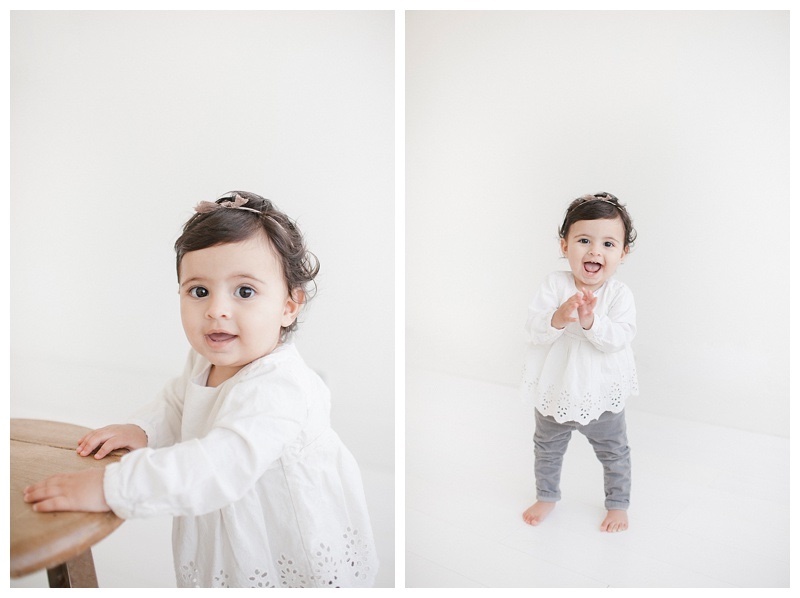 Happy 1st Birthday to this little gal! 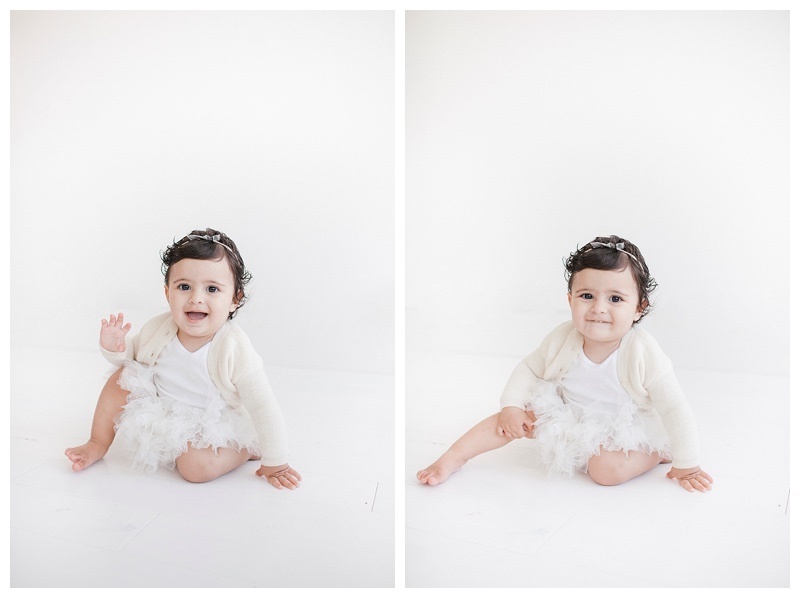 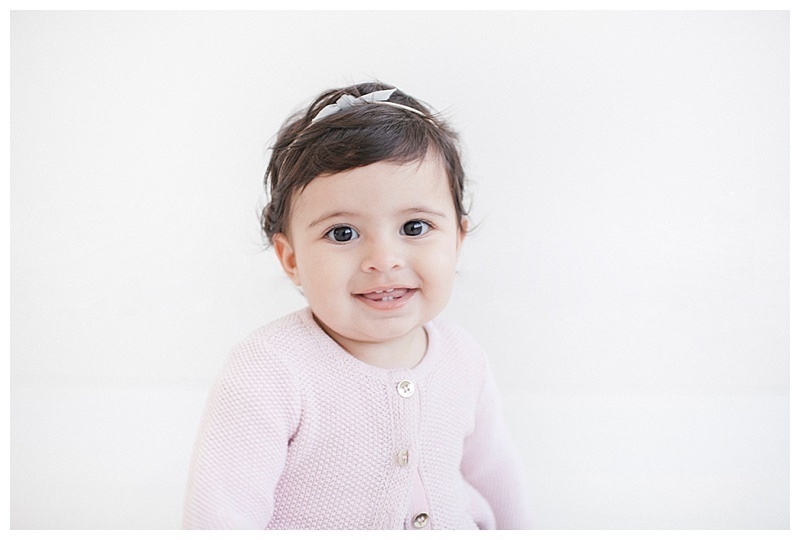 Loved having her in the studio for her first birthday portraits, you can see what a good time she was during her photoshoot! 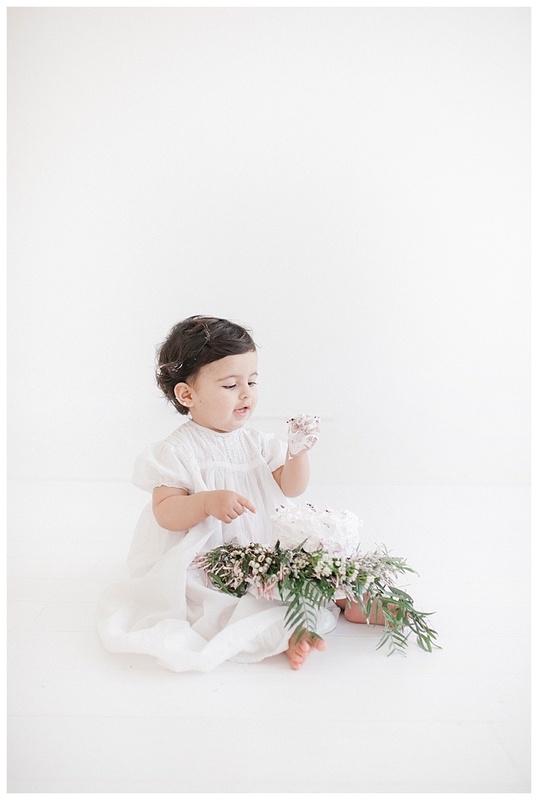 So thankful for all my clients who come all over Orange County and Los Angeles to see me- makes it easy being in Long Beach that it is central to both counties! 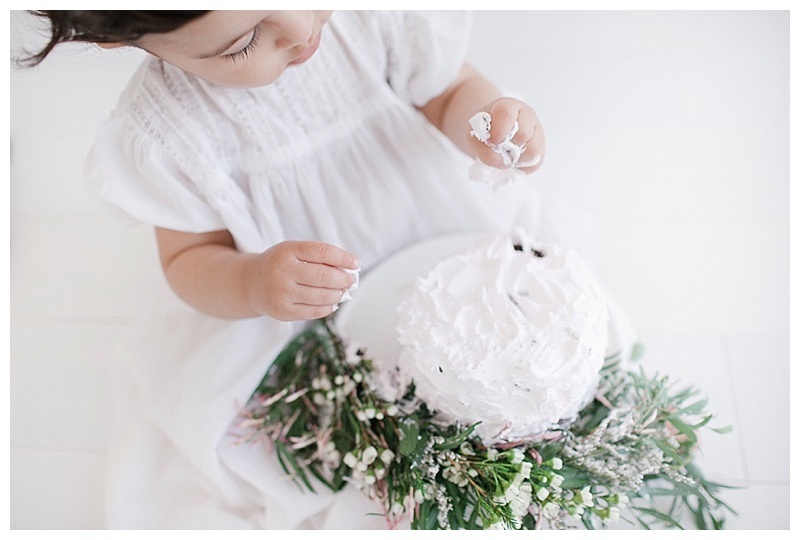 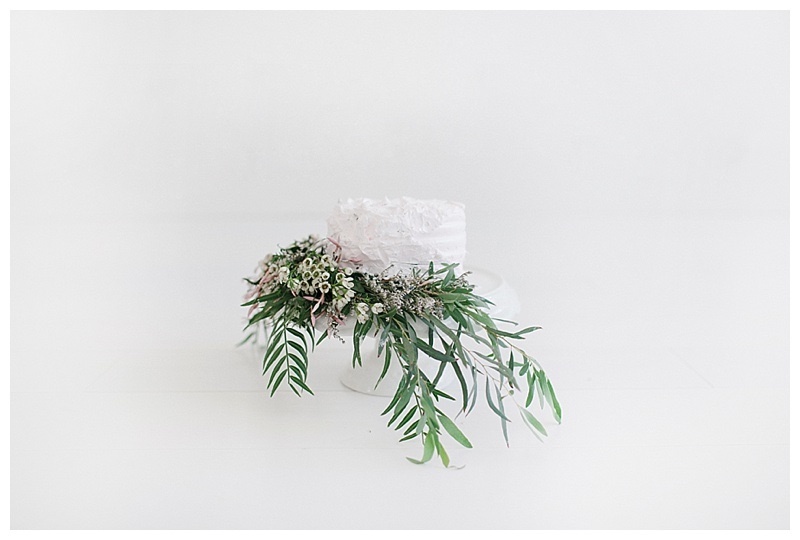 A while back I shared my take on my daughters smash the cake session by making it a bit more natural, modern and just simple- which was some served as some inspiration for this babe's cake smash as well! 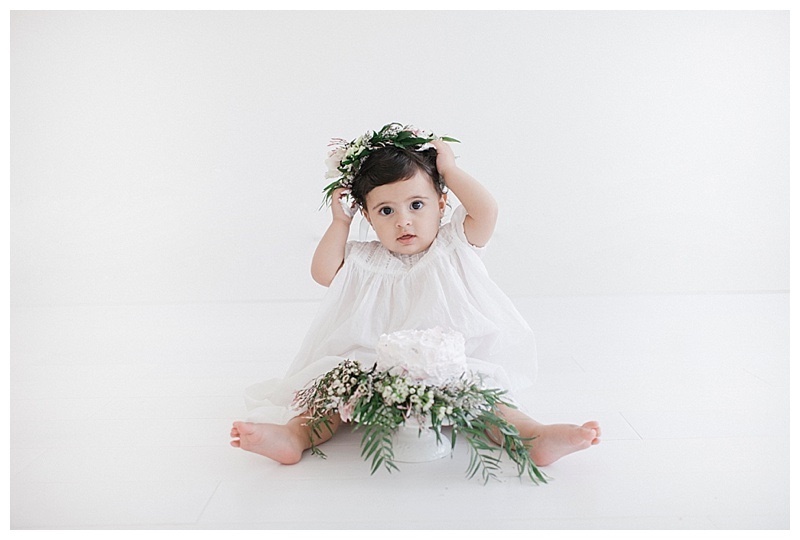 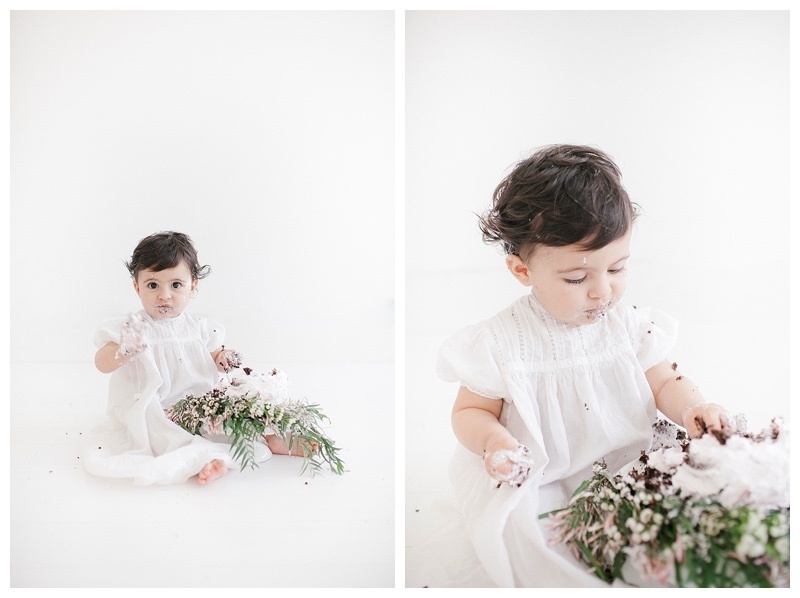 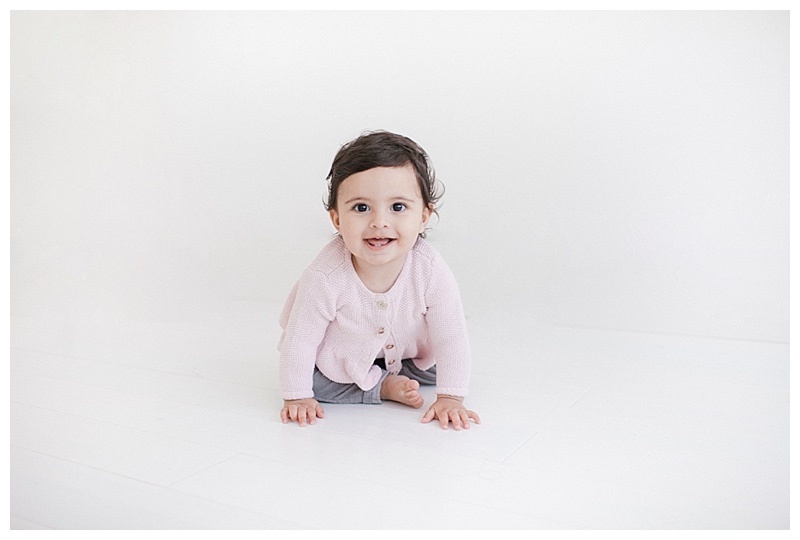 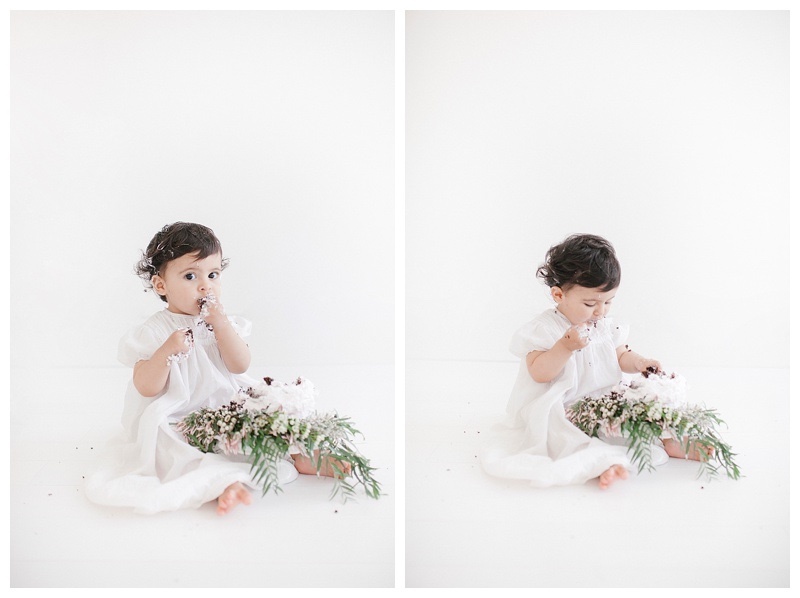 I just love baby photography in the studio, something about the clean and minimal use of props in baby photography is just so natural and timeless to me!